2016 was an incredible year for American poker pro David Peters with $7.5M in live tournament earnings and the GPI Player of the Year title. He is now one of the most respected figures in the high roller circuit. 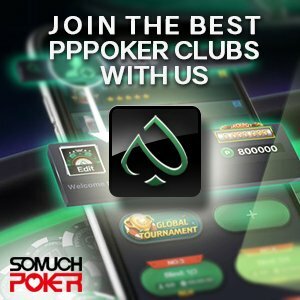 Somuchpoker: You’ve been in poker for a long time, and you’re very consistent on the circuit. How did you choose to play poker for a living? David Peters: I started watching on TV back on when Moneymaker won the Main Event. I was playing with friends, and I started looking at all the freeroll tournaments on all the different websites and ended up winning one of them for $600. Then I started playing small stakes tournaments, and it just took off from that. SMP: What was the turning point in your learning of the game when you realized how to play your game and how to make the jump to the highest buy ins? I don’t know if there was a specific turning point, but I guess it’s after I started playing my first high rollers tournaments a few years ago. I was working very hard to get to that level, and once I started feeling comfortable playing the first one, then the second one felt like I belonged there. I felt I was comfortable playing with all those top players. I had already played a lot against these guys for years online. Of course it was at much lower stakes, but I felt I had enough experience playing them online to be comfortable playing at their level in a live setting. SMP: I interviewed Nial Farrell recently, and he said that climbing the gap from 5K/10K to super high rollers was really difficult. How did you experience that? How did you work toward it? David Peters: Yeah, once you make that jump, the game become much higher, and I think it motivated me to really work. I knew I had to put in a lot of effort to play at that level. I starting doing a lot of studying, a lot of table work, to make sure I was on the same level as these guys and not letting people pass me or catch up to me. I think it’s definitely a huge gap between 5K and high rollers fields, so I knew I had to put in a lot of work. SMP: In your opinion, which high rollers are the best to play? David Peters: My favorite is the Super High Roller Bowl at Aria before WSOP, the 300K. That’s my favorite tournament of the year for sure. It’s a nice mix of amateurs and pros, and it’s a very fun event. The Triton tournaments that they have in Macau are great tournaments too. Those kinds of tournaments are my favorite. Plus, you have more gamblers in general. You still have the best players, but you also have a lot of players who want to play weaker hands, so it’s a nice mix of a fun environment and good value. SMP: How is it possible to grind out those super-expensive buy-ins over the long term? David Peters: Yeah, you just have to try to not get carried away with what piece you have of yourself, and hopefully you can also build up a good reputation to be able to sell action at a good mark up. If you can’t sell action at a good mark up, you have to make sure to work harder to get to that level. You have to take a reasonable piece of yourself, you have to think: what is the effective buy-in? Even if it’s a 300K buy-in, you can find the reasonable piece you want to put on yourself without putting yourself in danger and sell the rest of your action. Try to not get carried away because these Super High Rollers can add up really fast, and if you’re not paying careful attention, you can go broke pretty quickly. SMP: You don’t think that selling most of your action, like some players do, sometimes only playing for 5% or even less for themselves, is a bad thing and can change the game? David Peters: I don’t really see much of a problem with it. Honestly, if people want to play it, if they want to get that experience, even with little action for themselves, it’s still a high buy-in for them relatively speaking. They can get the experience, they have an opportunity to get exposure, so I don’t really have any problem with that. I mean, obviously, I don’t want people completely free-rolling on a 100K. I don’t want people not putting in any of their money, but as long as they’re taking reasonable pieces, I think it’s completely fine. SMP: You’re actually second in the GPI ranking, but everything can change quickly with one result. Are you grinding a lot to become number one? How important is that for you? David Peters: Yes, I definitely want to get back to that number one spot. I had it for a little while, and then I got passed. I was hoping I would retake that at PCA; I was chip leader at 15 left, but unfortunately it didn’t work out! But it’s certainly a goal of mine to get back to the number one spot. I would also like to be POY (player of the year) again this year. I try to set goals for myself, and becoming 2 times POY is something that no one has done yet. It would mean a lot. SMP: You had an amazing year in 2016. With more than 7 million in live winnings and many FT, you passed Fedor Holz at the end to claim the number one spot. Did you work differently on your game that year? How do you explain that run? David Peters: I think I really upped my work ethic. Starting in 2015, I worked way harder. The game was evolving, and I wanted to get to that point where I honestly felt there was no one better than me in these fields. Everyone can have different opinions on who is the best, of course, but it has always been my goal to confidently feel I could be the best. I always push myself very hard to get to that level. SMP: How do you still work on your game? David Peters: There are a lot of different programs I use. There are so many, really infinite, situations that can come up in poker—different stack sizes, different positions, etc. It just never ends, so I just try to be well-rounded in my ability to approach all the multiple situations and try to not have any leaks. I try to be prepared for everything that could be thrown at me. SMP: What would still be your biggest leaks? David Peters: The one thing I wish I could improve a lot is my memory. A lot of times when I sit with someone at the table, I remember their face but I just can’t remember their names or anything specific about them. I think that’s one think that holds me back. Now, I don’t know what to do about that, but it would be nice if I had a great memory! SMP: In contrast, what are your biggest assets? David Peters: Let me think…. I think my biggest assets are just that I’m really hard working, I’m a very determined person, and I’m very loyal to friends. I’m a very trustworthy person who will always put in the work and always bring his A game. I’m also someone that other people can count on if something bad happens or if they need my help or advice. SMP: I heard that your nickname on the circuit is “silent assassin”, which I think is a really nice compliment. How do you feel about it? What it’s like to be seen as a poker ninja? David Peters: I really like it! I’m certainly quieter than most players at the table, and assassin is definitely a nice nickname to have. I think its fun! SMP: You’ve been on the circuit for a long time, playing the highest tournaments, but you’re very discreet. In general, not many people know or hear about you, although probably more in Europe. Is always staying under the radar a choice you’ve made intentionally? David Peters: I think it has always been like that. My whole career has been way more under the radar than it probably should have been or that it would have been if I was a different person. But I just think it’s because I’m not really outspoken. I do my own thing; I try to just stay focused at the table. I have never been loud or outspoken or constantly posting on social media or speaking in front of the cameras, etc. It’s just not my personality, so I think that has a lot to do with me flying under the radar. SMP: Ok, but, for example, is having a sponsorship not something that you would be interested in? David Peters: No, that’s different. That would be something I would be interested. If an interesting proposition came along, I would certainly put in effort to promote the game and be more outspoken and vocal. It is something that I’ve planned doing, but I feel that I’ve maybe stayed too quiet and not been social enough at the table. A lot of people are just here to have fun, so you have to create a nice environment at the table and create a good experience for them. I’m definitely working on that. SMP: You’re 30 years old now. How do you see your future in the poker world? Do you want to stay there for a long time? David Peters: Yeah, I’ll always be in poker I think. The extent of how much I play will progressively decrease based on what I’m doing with other endeavors. I’ll work on other stuff, but I’ll still always be in poker. I may not try to be the best, or play everything with a crazy full schedule like I have been, but I’ll be looking to play if I’m ever in the area of good tournaments or if I feel like taking a poker trip. I’ll see how things play out, but I still have that drive for poker. SMP: Many players are playing with crypto currency now, while others are playing less and less. Is that something you’re doing too, and what do you think about that tendency? David Peters: Crypto is something I’ve been getting into, but I’m quite new to it. There are a lot of people who have much more acknowledge than me. That is certainly one thing I’m willing to put a lot of time and energy into getting better at and understanding more. That will probably cut into some of my poker time a little bit at some point, but I’ll still try to find a nice balance. SMP: You were known online first. Do you still have time to play today, and would you go back to the intense grinding you used to do if online poker ever comes back in the US? David Peters: I don’t play a lot online anymore. I still play the big events or some Sundays if I’m in a country that allows me to play, but for the most part I’ve scaled way back on playing online. I try focusing more on live games and using my time to get better and study to be more prepared for high rollers; that’s kind of how I view things now. But if online poker ever comes back to the US, that would be very nice. It would certainly be convenient to be able to get up and play a Sunday session or super Tuesday, etc., instead of having to fly somewhere like Vancouver or Costa Rica like I’ve been doing so often. We’ll see about that. SMP: What would be the sickest hand you ever played (if you have an opinion about that)? David Peters: I have a very sick one, not for the most dollars involved but because it was a very funny situation. I was backing my brother several years ago on a 5K in Borgata, and we ended up at the same table. I get pocket Jacks, he raises, I re-raise, he calls, comes J 4 3. He checks, I bet small, and he calls; turn 5, check calls, and river another 5. We went all in, and he had pocket 5 for quads. It’s funny that one of the sickest run ever came against my brother; that was pretty crazy. SMP: In your personal experience, who are your toughest opponents? David Peters: There are a lot of them. You have Fedor Holz, obviously, Nick Petrangelo, Brynn Kenney, Justin Bonomo… There are really a lot. I can’t name them all, but Jason Koon is very good too. The gap between most of these guys is not very big; some will keep getting better, and some will work on other stuff, but there are so many amazing players in the field. SMP: Like many pros, you’ve been travelling constantly for poker for many years, and you never really settled anywhere. Are you not tired sometimes by that particular way of life? It can be very stressful. David Peters: Yeah, it can be a little tiring sometimes, but actually it’s never bothered me too much. I really love travelling and mixing it up, playing poker and going to new places. I’m kind of bored if I have to stay in the same place for too long! The travelling has never bored me. I’m pretty used to living like that now, and I like to get out and see new places. I’ve always enjoyed it. SMP: What’s your favorite poker destination? David Peters: I always loved Barcelona. I think that’s my favorite. It’s just so fun, pretty weather, we’re right on the beach, there are so many things to do, the poker is amazing, huge fields, and the city is beautiful. It’s a great destination. SMP: Is there anything you don’t like in the poker world? What would you change in the industry if you could? David Peters: I guess one thing is that it can bring out the worst in some people. People tend to overextend themselves, gamble too hard, borrow from people, and then find themselves in bad spots, try to get out of it, and just dig deeper holes. Situations come up a lot where people are owed money and never get paid back because the person is now broke, and they don’t even know to get that money back, and they just keep digging a bigger hole. That’s something you see a lot, and that world can bring out the worst of people. Especially if they have gambling problems, they can get completely out of control. Unfortunately, it’s something that will always be an issue in poker. SMP: Do you see real differences between when you play in Europe and when you play in the US? David Peters: Yeah, I think generally people in Europe are having more fun and are more relaxed. They seem to have more gamble in them and willingness to play different hands. The nice thing is that they have the freedom to be able to go to different places easily and play online, while in the US you can’t play many tournaments because there is no online poker. In the US, you travel to play a tournament, and if you bust, you don’t really have any other option, and this might make people play tighter. For the past few years, it’s been tough to get a lot of experience and put in a lot of work if you live in the US because you can’t train online, so I think that’s the biggest difference. In other countries you can play tens or hundreds of thousands of hands if you want by playing online. I think compared to the rest of the world the rate of improvement is slower than a lot of other countries for that reason. It’s tougher to rapidly improve your game if you’re living in America. SMP: What are your most important tournaments to come this year? David Peters: The 300K high roller at the Aria; that’s always the one I look forward to. Hopefully I can make a round this year, but that one and the 100K tournament at the World Series are always the huge ones, along with the Main Event. That would be my top 3. SMP: You’re thinking of playing the million One Drop event this summer? David Peters: I’m not sure I’m playing on it. Hopefully I can find my way into it. I think the fact that you’re giving 11% to charity will make it more difficult for many people to sell that much action. So we’ll see how things play out, but I would definitely really love to play that event. There is a good chance I will. SMP: In our last interview, we asked Nial Farell how he would describe poker players in general in three words, and his first thought was lazy. Do you agree with that? What would you choose? David Peters: Oh it’s certainly true for a lot of them! It’s funny because there is so much, but in general I would say ambitious and love of the game and action. Poker players love the action!